Note: Submitting a request does not guarantee your program. You will receive a confirmation of your program after receiving and processing your request. Each component of the outreach program seamlessly blends environmental education with science, math, language arts, reading, fine arts and even history to provide teachers with resources and information that are both educational and FUN. Created and presented by trained zoo professionals, our programs and resources combine current information, technology, and activities. Each program aims at encouraging curiosity about our world helping students become environmentally conscientious and scientifically literate scholars. All programs meet the current Oklahoma Academic Standards. You get it all! A full unit combines both the Zoo 2 U program and Discovery Trunks. 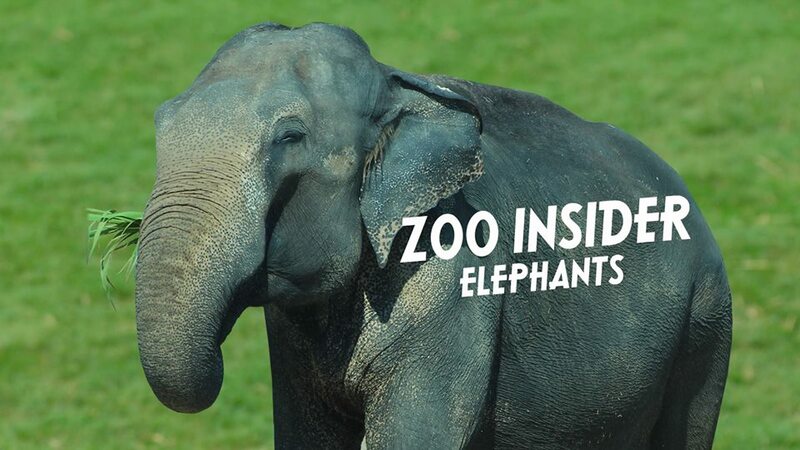 The zoo instructor will teach an opening program, leave a Discovery Trunk for up to four weeks and return to do another Zoo 2 U program or U 2 Zoo program to close the unit. Groups are limited to 50 participants at a time. We come to you! Let us bring the zoo to your classroom! The Tulsa Zoo outreach programs combine science and environmental education with other content areas to engage participants in an enjoyable kinesthetic learning experience covering a multitude of topics. All programs last about one hour, include activities and live animals. Groups are limited to 50 participants at a time. You come to us! Similar in content to our Zoo 2 U outreach programs, but students are able to visit the zoo rather than the zoo visit the classroom. The U 2 Zoo outreach programs combine science and environmental education with other content areas to engage participants in an enjoyable kinesthetic learning experience on zoo grounds covering a multitude of topics. All programs last about 30 minutes and include activities and live animals. Borrow our stuff! These trunks include resources such as skulls, pelts, tracks and other items to use in your classroom. Each kit also comes with a resource binder full of lessons, activities and background information pertaining to the requested topic. All lessons and activities meet various Oklahoma Core Curriculum Testing standards such as PASS and Common CORE. Let us be your guide! The Tulsa Zoo offers tours for groups (20 participants max). Each tour lasts approximately 1 hour to 1.5 hours. Your group will be led by a trained zoo professional and interact with students through the use of activities and engaging discussion. Any of our program topics can be modified into a tour. U 2 Zoo Tours cannot be offered as a part of the full unit. If you have a special request for a tour please call or e-mail the education department. U 2 Zoo Tours do not include behind the scene tours of the zoo. Need a speaker for your lunch or group meeting? The Tulsa Zoo can certainly initiate a wild discussion for your group. You can choose from three options to invite to your meeting: Speaker only, Speaker and Biofacts or the Full Zoo including speaker, biofacts and live animals. Program topic will be chosen during registration. 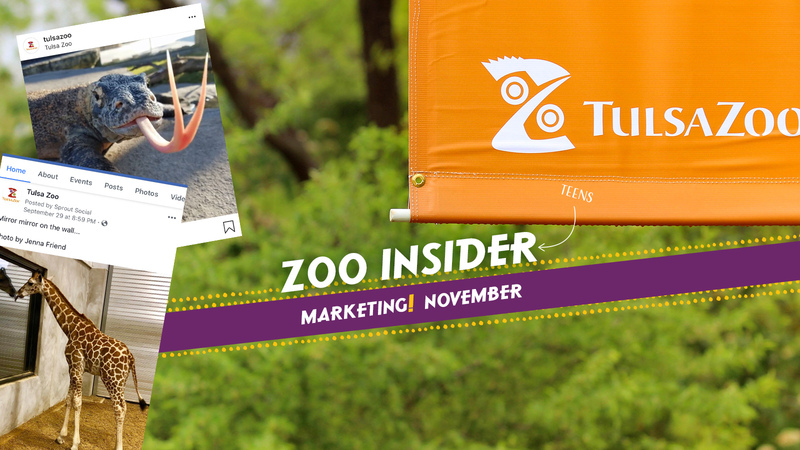 Invite the zoo to your next event! The Tulsa Zoo offers programs for groups more than 100 individuals. You can choose between two options for your event: a biofact table with one or two live animals for up to 4 hours or two formal presentations including a biofact table in between presentation times. There may be additional requirements and restrictions. Program topic will be chosen during registration. Make your next scout meeting a WILD one! You can meet requirements for badges while having the Tulsa Zoo visit your scout meeting! Scout Badge programs last about 45 minutes and will accommodate up to 25 participants. You can choose from the Mammal Study Badge or the Bird Study Badge. The Tulsa Zoo does not provide programs to private homes or land. Receive a 10 percent discount for each additional program scheduled on the same day, up to a maximum of three programs. If your school district is beyond 30 miles of the Tulsa Zoo, please email outreach@tulsazoo.org for pricing. COLORS AND SHAPES OF NATURE – Review basic colors and geometric shapes found in nature while discovering why things in nature may look the way they do. NATURE SENSE – Look through the different eyes of the animals and listen to their sounds while learning about their place in the environment. NATURE SENSE – Take an advanced look at how animals perceive their world through activities and lessons directed towards young learners. ANIMAL TALES – Connect stories to science by reading and learning about plants and animals all around us. You can choose from between Colorful Critters, How Animals Move, Talk Like an Animal or Homes and Habitats as an emphasis. UNDERCOVER CREATURES- Take a look behind the curtain and see why animals may look the way they do in order to hide or stand out in nature. SUITED FOR THE SEASONS – As the seasons change, animals and plants prepare for the weather to come. 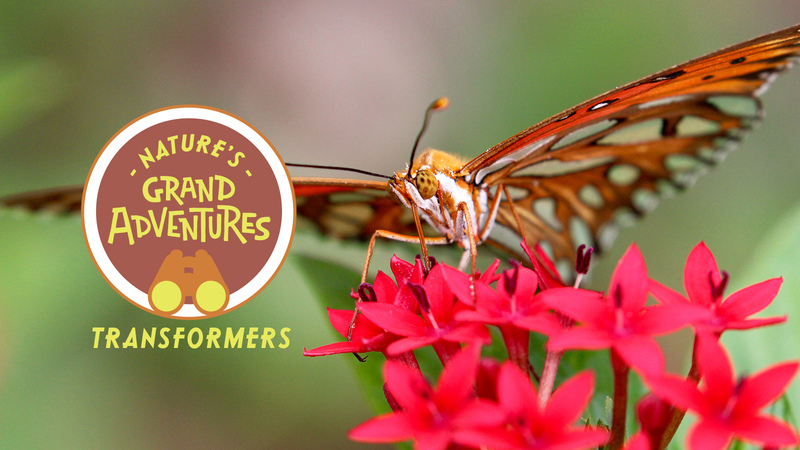 See how some native and exotic animals and plants prepare for the seasons of the year. You can choose from between a Fall/Winter or Spring/Summer emphasis. WATCH ME GROW – Animals grow in many different ways, some hatch from eggs and some are born live. Some undergo metamorphosis and some are miniature adults. Learn about some of the amazing differences in how baby animals grow. GLOBE TROTTERS – Travel the world while never leaving the school discovering familiar and exotic lands with unusual plants and animals. You can choose from Hot and Cold Places or Wet Places as an emphasis. ROCKS AND MINERALS – They are all around us and under our feet. Students will discover how rocks are made and what they are made of. Plus, how valuable rocks are to plants, animals and people’s survival. WHAT IS A VERTEBRATE? It is a long word that means a lot. Vertebrates are animals with backbones that differ in many ways from each other. Find out what how vertebrates and invertebrates differ and their amazing adaptations for survival. GLOBE TROTTERS – As an extension to the second grade program; Globe Trotters, compares the contrast between different environments around the world and how each environment has similar components such as producers and comsumers. You can choose from between Life in the Desert or Rainforest as an emphasis. TAKING FLIGHT, DAY OR NIGHT – Learn about some of our winged friends. There are all types of animals that fly besides birds including some mammals and insects. Find out different ways animals can fly and how they different in the day and night. OKLAHOMA WILD – Forget Africa or the rainforest, Oklahoma is WILD all by itself! Discover the amazing plants and animals that live in our own state. GLOBE TROTTERS – Another extension of the second and third grade programs, now students will begin to discuss environmental issues around the world and how they can connect to our lives in Oklahoma. AMAZING ADAPTATIONS – Animals have amazing adaptations that help them to survive in their environment. Learn about some of these adaptations that help them find and/or catch their food. IT’S GREAT TO BE GREEN – Conservation starts as a conversation. Let’s open the discussion on how to promote conservation right here. Students will be encouraged to create conservation plans and learn about successful conservation stories that have helped saved species all over the world. TRADER SCHOOL – Discovery is all around you. Students will begin to understand the diversity and interconnectedness of things in nature from rocks to plants to animals while learning how to closely observe things they find outside. This program is based off of the Nature Exchange trading program at the Tulsa Zoo. NO SWEAT, I’M EXOTHERMIC! – Reptiles, Amphibians and Fish have some interesting qualities in common. They don’t sweat or shiver! Find out how these cool animals stay warm and cool off. THE BIG BLUE PICTURE – The things we do and choices we make here in Oklahoma does affect wildlife on the other side of the world. Students will begin to broaden their scope of home to see how they can make a positive difference. SUITED FOR SURVIVAL – Animals are equipped with many diverse adaptations to enhance their chances of survival. Students will learn about unique adaptations and survival strategies animals use in the wild. IF I RAN THE ZOO – Students will learn exactly what it takes to run a zoo from animal care to the finances and requirements of running a large recreational park including managing endangered species. ZOO ECOLOGY – You can take a walk around the world in one afternoon when you spend it at the zoo. This tour introduces students to the diversity of the world as portrayed throughout the zoo. ENVIRONMENTAL EDUCATION FOR PRE-SERVICE TEACHERS – This is like a mini-professional development for teachers. Pre-service teachers will learn some tricks-of-the-trade for teaching environmental education while blending it into other content areas. WILD ADAPTATIONS – Easily adjusted for different disciplines, this program offers a more detailed view of plant and animal adaptations for survival. Specific content pertaining to adaptations will be custom tailored to fit the curricular needs of your group. WHAT’S NEW AT THE ZOO – Your group will learn all about where we have been and what we are planning for the future. 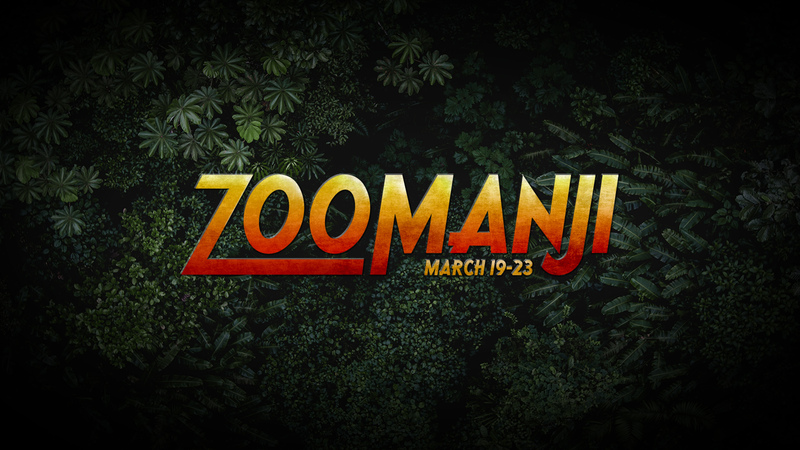 This is a great open discussion format program designed to stimulate conversation and reminiscing about seeing the zoo in years past. LIFE IN THE RAINFOREST – If you have ever wanted to travel to exotic lands, this program is for you. We will bring the best of the rainforest to you and be happy to converse about the biology and ecology of this fascinating environment. The Tulsa Zoo Reserves the right to pause or stop a program in the instance it becomes unsafe for the animal, audience, instructor and/or biofacts. Programs may also be canceled due to severe weather. Additional topics and programs are available upon request. Please email outreach@tulsazoo.org for more information.